William Stewart Bullard was born on October 12, 1876 at 53 Plymouth Street in Worcester, Massachusetts to Charles E. and Ellen M. (Barrett) Bullard. William had an older brother George who died in March of the same year. Bullard had four younger brothers: Henry, Marcus, Charles and Herbert. Research has not helped us to find out much about his early years. Bullard began his photography career at age 18 in 1894 while living in Worcester. He officially began listing himself as a photographer in the 1901 Worcester City Directory while he was living with his brothers and his mother at 5 Mayfield Street (now known as Maple Tree Lane). This location is in the general area known as the Beaver Brook neighborhood where many of the photographs on display were taken. It is still an open question as to where Bullard acquired his superior skill in photography but he appears to be self taught, as he has not been found listed as an apprentice to any master photographers. A neighbor, George Morrill, also listed as a photographer, lived in the same two family at 5 Mayfield Street but research has not yet turned up a connection or collaboration between Bullard and Morrill. Also an unanswered question is why he chose so many people of color as sitters. People of color made up less than two percent of the population of Worcester in 1900 and approximately ten percent of the Beaver Brook neighborhood yet they account for more than forty percent of his sitters in this area. 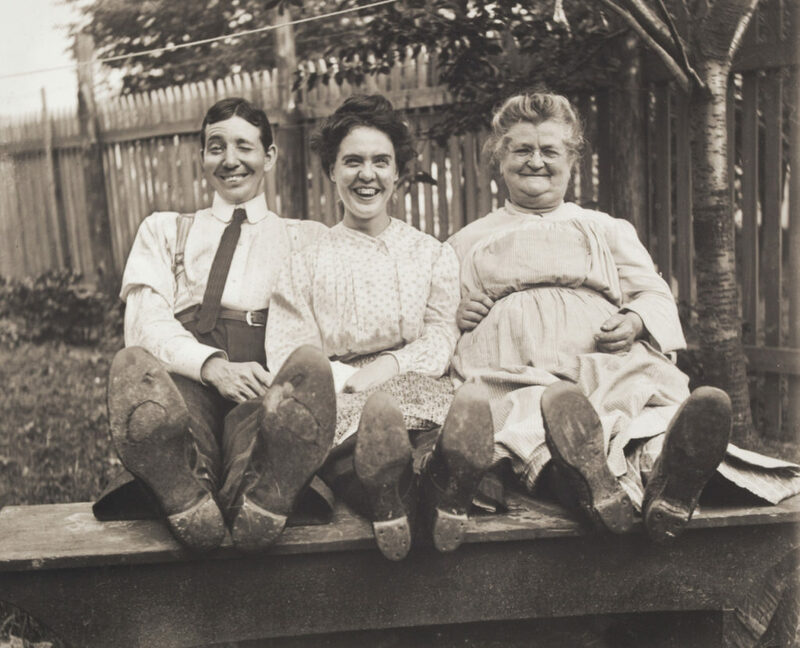 Bullard took all his photographs on location as he had no known studio in Worcester or in North Brookfield where he moved with his mother and brothers in 1908. He got to his locations by traveling on a bicycle, trolley, buckboard, or train. In his neighborhood in Worcester he could easily have walked. The negatives themselves are unique and exceedingly rare in that the sitters can be identified. It is a great gift to history and to the future generations of his sitters, that he would never have realized. Remarkably, he scratched numbers into approximately 980 of the 5400 negatives and then wrote a corresponding number and description in his logbook, which survived with the negatives, waiting for the right moment in history to be discovered and become the Rosetta stone for his collection. His logbook has a few notations that indicate he received money for some of the prints but detailed records of the profitability of his work do not exist. There is, however, evidence that he worked as a school photographer in Holden, Worcester and the Brookfields. Many of his negatives note the class, name of the school and the name of the teacher. Bullard never married and lived with his mother and at least one brother his entire life. His death, by suicide came in late April 1918 when he was 41. He was found by his brothers, Marcus and Herbert, as he had not been seen for a few weeks and they went to look for him. According to his obituary he had been depressed and in ill health and for many months had not been active in his trade. That combined with the very recent passing of his mother Ellen appears to have been what led to his suicide. Bullard left 5400 negatives, his life’s work, behind when he died. He traveled to 45 communities and as far away as Buffalo and Niagara Falls. The negatives were left at his home on Bullard Road in North Brookfield with his brother Charlie with who he was living. Charlie had no interest in photography and they remained untouched for forty years. He would surely be shocked to know the impact his negatives have had a century later.